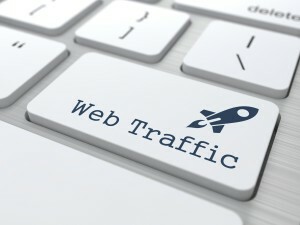 Lot’s of people think that in order to generate traffic online you need to a build a website, but there’s actually a whole load of different (and easy) ways you can generate traffic without a website too. Now whilst there are a whole load of different ways, the one I’m about to share with you in this post is extra special because it actually allows you to leverage other peoples content in order to drive traffic to your own offer. Best of all it’s completely legit, isn’t spammy & drives conversions like crazy. 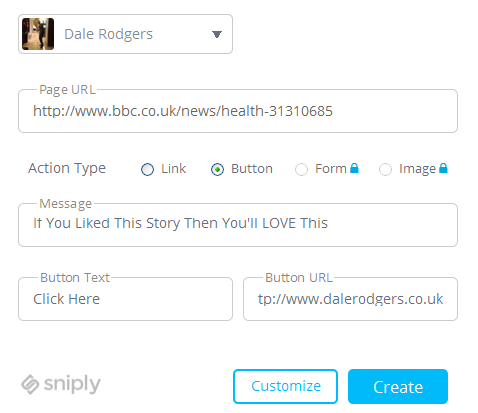 Sniply allows you to “Snip” a page on the web & add a link back to… well, wherever you like. So rather than spending countless hours publishing thousands of words worth of content *hoping* for it to create a buzz on social media you can just head out and use somebody else’s, with the added benefit of still being able to drive traffic through to your offer. Let’s say you’re promoting an offer that teaches people how to lose weight. If you share the offer directly on Facebook (just an example), it’s unlikely to get a large amount of engagement. However if you share a list of ways that people can lose weight then people might decide to share that information with their friends, thus increasing the engagement & most importantly, the audience. The only downside is that generally if you share somebody else’s content then it has no benefit to you – but this is where Sniply changes the game. 1. Firstly you need to find some content that you think your viewers will find interesting & most importantly, share. For the purpose of this post I’ve grabbed an article off the BBC news website to use as an example. If I was to go ahead & share on that my social media profiles it’s probably going to provide very little benefit to me, if any at all. However if we “Snip” it then the outcome could be very different, and it could actually prove to be a traffic driving machine. Once you’ve done that just hit “Create Snip” & then you’ll be prompted to fill in some additional fields for your call-to-action. You can choose to display a link, button, form or image – personally I stick with buttons but if you wish you can add your own opt-in form directly to the page. If you choose to use a button then you’ll be asked to enter a message & the button text, and of course a link as to where the button should take the user once it’s been clicked. As you can see the example above contains a photo of me & that’s because I integrated my Twitter account with Sniply. It’s easy to do & it only takes 1 or two clicks. Once you’ve done it then it will automatically grab your photo & display it just like mine above. I believe you can integrate with Facebook & other social networks too or even create your own profile on the Sniply site if you don’t happen to use any of them. Once you’ve set it up & your happy with the outcome then you can hit “Create” and the page will be Snipped. You’ll notice that whilst it’s the exact same article as the one I showed you above, it now contains by call-to-action in the bottom left hand corner. This button will remain in the same place as the user scrolls up or down & it will even remain there if they continue to click on other links on the website. So if they finished reading that article & moved onto another one, the call-to-action would remain there maximizing the chances of a click-through. Don’t worry – You haven’t defaced the website! This method doesn’t affect the website you Snip at all, the original website will remain exactly the same. In fact the chances are they’ll probably never even know you Snipped their page. All Sniply does is add a little overlay to the page and this is only visible via the Sniply link that you’re given to share, so don’t worry you won’t have a bunch of angry webmasters chasing you down for defacing their websites. As if the ability to Snip pages wasn’t good enough on it’s own, Sniply also give you access to some awesome tracking features. As you can see from the image above it’s some truly awesome stuff & this is an absolutely fantastic way to generate traffic to your offer without the need of having to create your own website or publish your own content. Plus it saves you having to worry about whether or not your content’s going to perform well on social media. Instead you can just search for a proven article & share it knowing that it’s going to receive good engagement from your audience. Let’s say you have 500 followers on Twitter & you Snip a link then tweet it. 1% of you’re followers retweet it to their followers which means you get 5 retweets. Those 5 people also have 500 followers & since they’ve each retweeted your tweet that means your link has been put in front of an audience of 3,000 people (500 * 5 = 2,500) + (the original 500 followers that you have). That means you’d have hit 3,000 potential prospects just from one quick tweet… Pretty powerful stuff I think you’ll agree! Sniply is an absolutely awesome way to generate traffic if you don’t have, or don’t want to create a website.